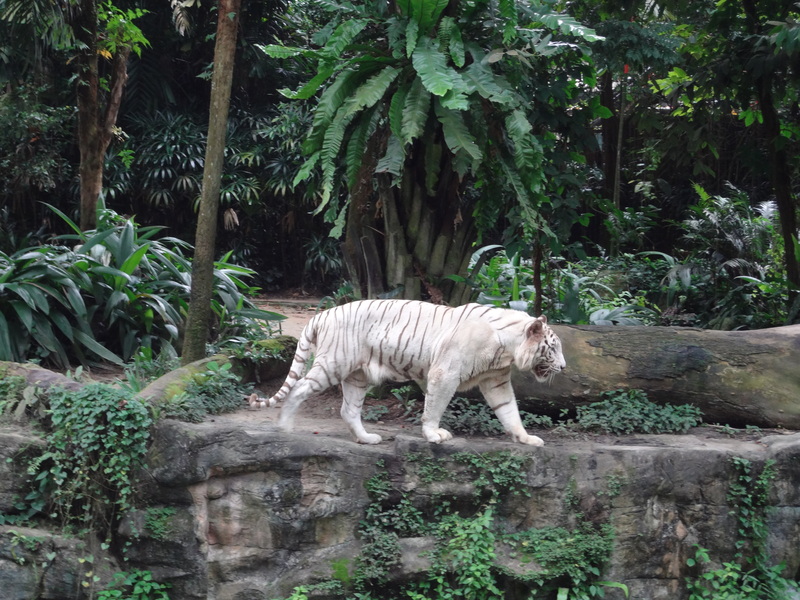 I adore big cats, so this white tiger got a lot of visits from me. 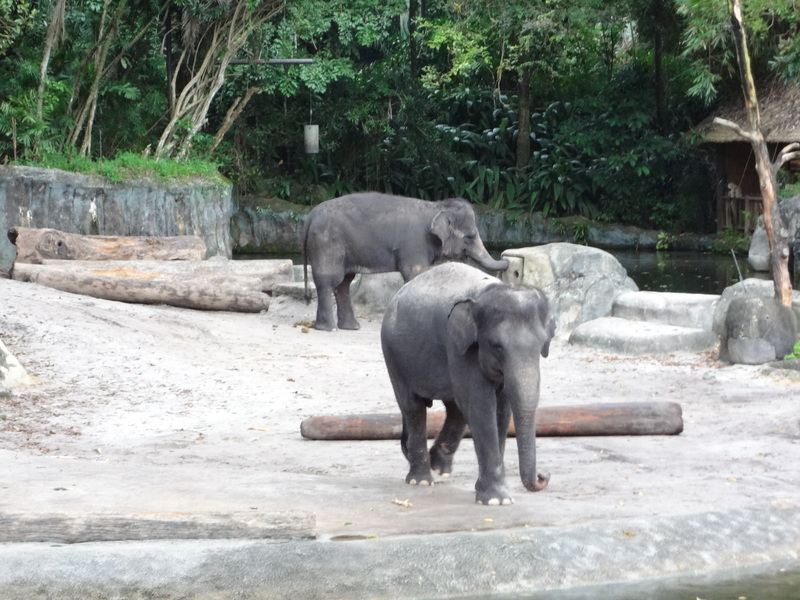 I love elephants as well, and the zoo had a few of them. 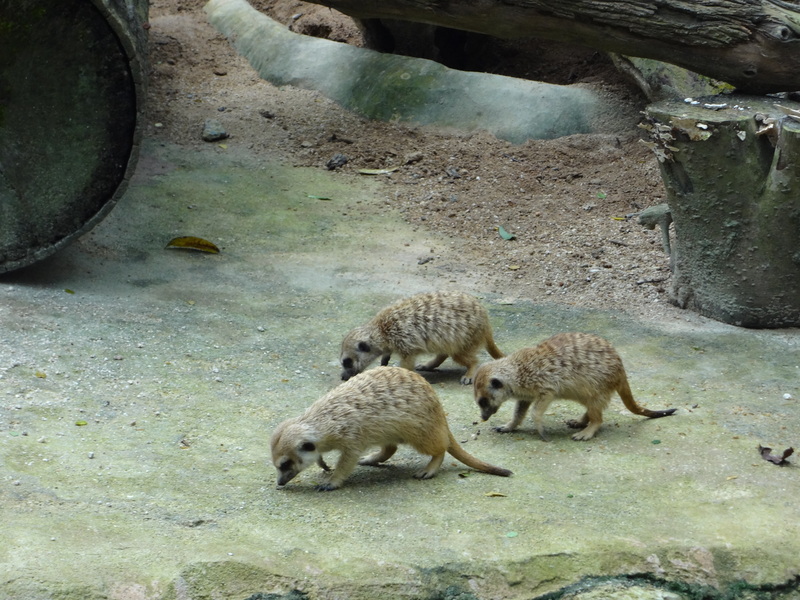 I learned to distinguish the species based on their ears. 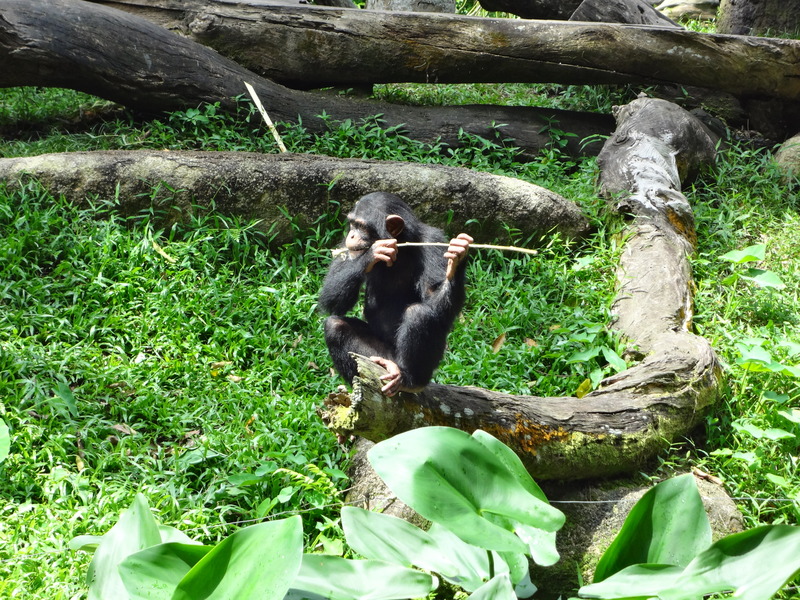 Chimpanzees are fascinating to watch—they’re so smart. 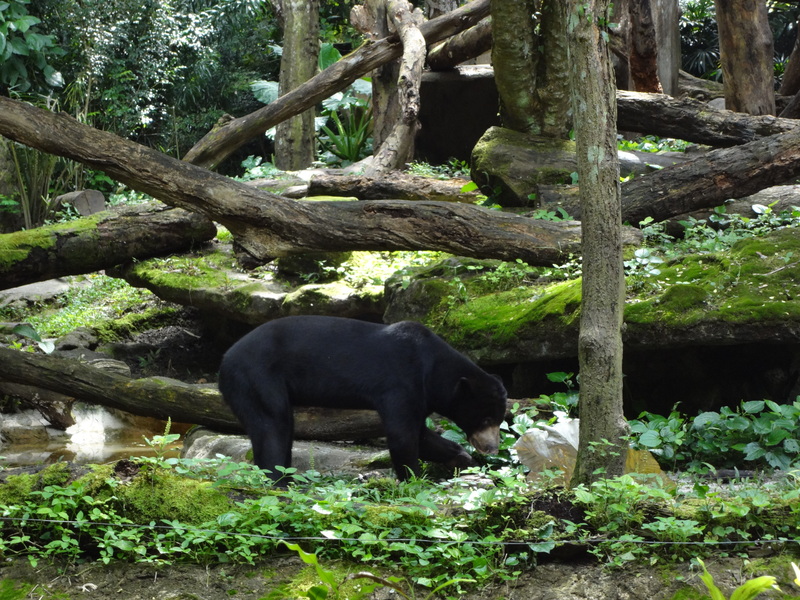 And here’s a Malayan sun bear—the smallest bear in the world, and is also nicknamed the “honey bear”. 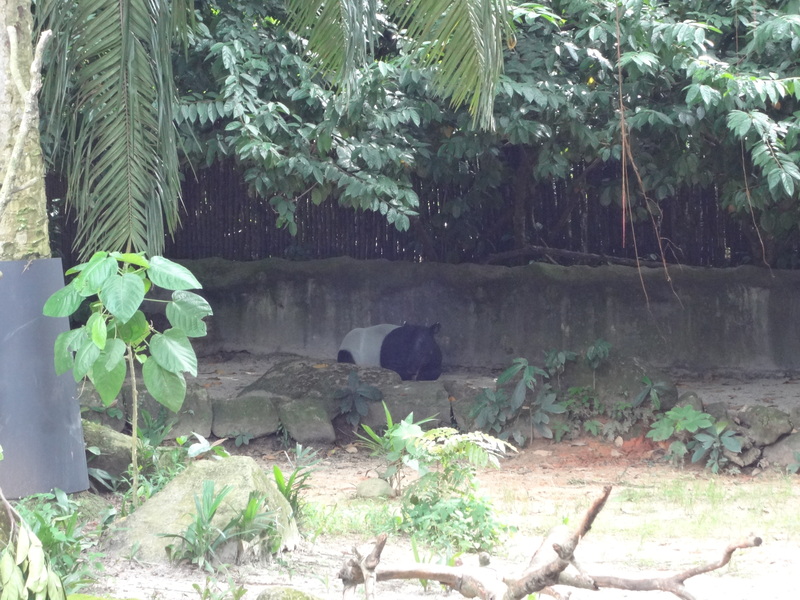 And finally, one of my favorite animals in the world: a tapir! 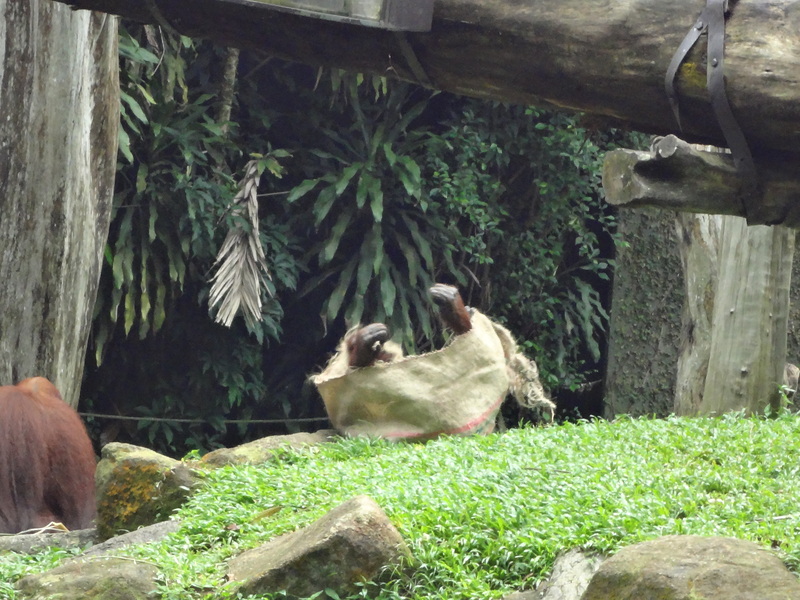 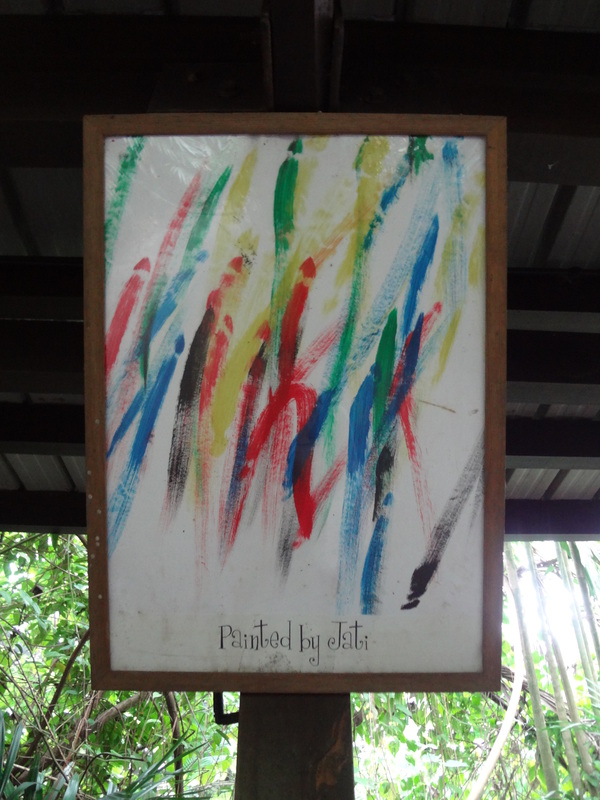 I saw one previously, in Singapore’s Night Safari which is nearby.